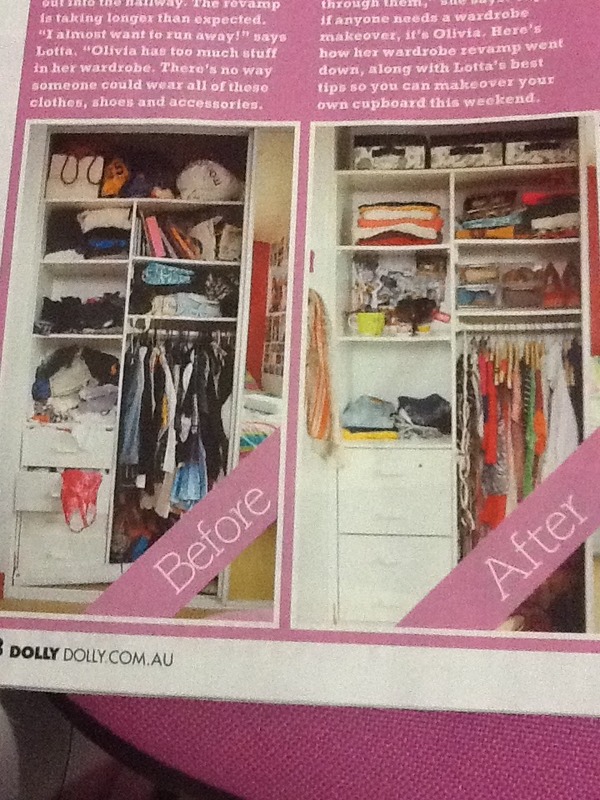 I just got the new dolly magazine today and saw this (pg 38) i love this and its inspired me to clean out my wardrobe and clean it up. I have clothes and shoes hanging out my wardobe and scattered around my room, i can harldy find things i want to wear and have trouble figgering out what i want to wear and i really need to get new clothes for this season. I wan't get rid of any clothes/shoes that i do not wear anymore or do not fit, like selling them and earning money or giving to charity. keeping clothes that i wear and want and still fit me, going shopping and buying stuff for this season and especially shoes and i need more bottoms like pants, skirts, leggings etc. In the middle of the first picture there are 2 girls holding a hanger which i can use to hang belts and skarfs. So just like in the second picture there is a before and after picture of a girls wardrobe! 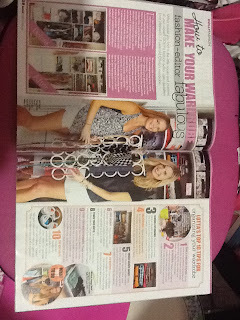 I will be doing a before and after picture of my wardrobe and we will see what happens! If i get new clothes, if it become really clean or gets jazzed up. You should try this and you will see a big difference, you will also feel so much happy when you next open those doors of your wardrobe! Get the new dolly magazine only $7.95 at your local post office.